Janitorial and sanitation problems tend to occur in many homes and commercial environments due to unforeseen water leaks, spillages and moisture build-up. 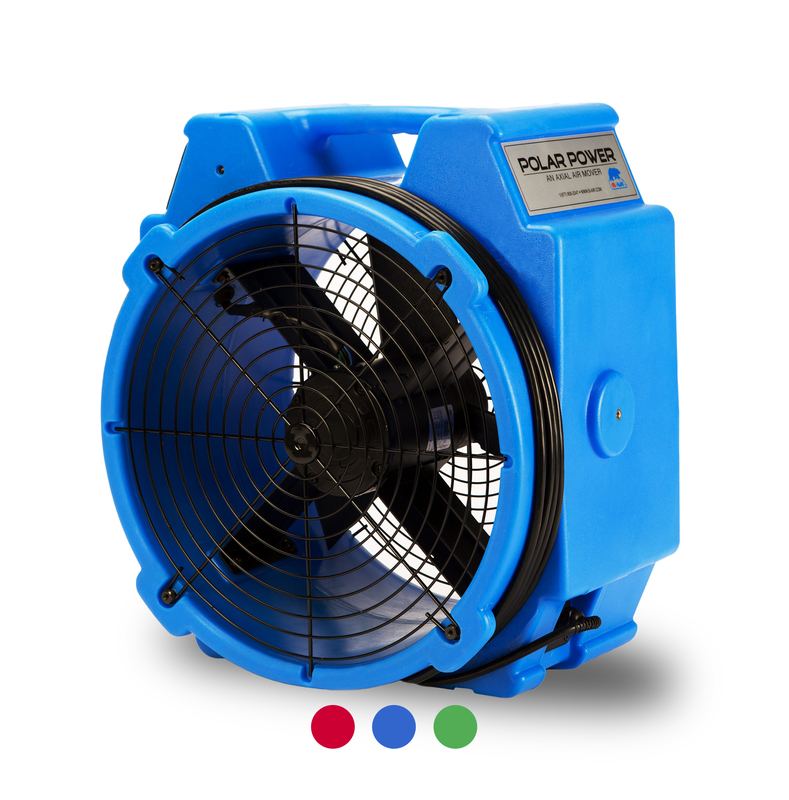 For over two decades, B-Air® has manufactured well-balanced and powerful air movers and floor drying fan as drying solutions to industry professionals. 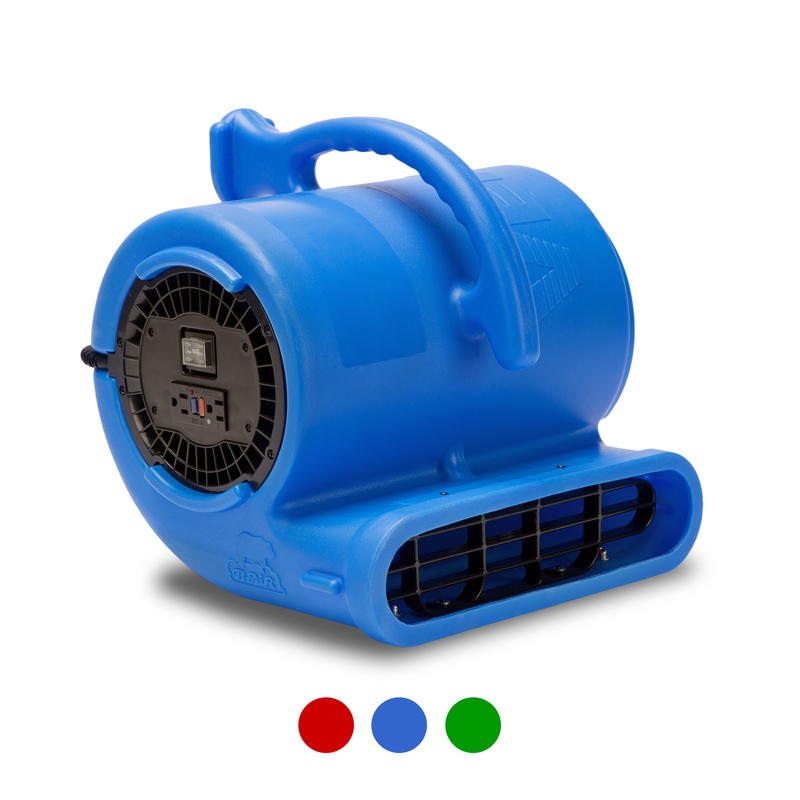 B-Air® floor drying fans and janitorial air movers offer solutions with ease and help maintain facilities in top, dry and healthy conditions. The selection of janitorial equipment offered by B-Air®, assist janitorial teams manage drying challenges with issues such as plumbing leaks, moisture accumulation, wet floors and furthermore facilitate mold remediation. B-Air® offers versatile floor dryers to the janitorial industry to help remediate a vast variety of situations. B-Air®’s janitorial equipment line can dry floors quickly and minimize the impact of unplanned water-related incidents. Get acquainted with our selection of high-quality floor drying fans which are designed in California and manufactured in our factories. At B-Air®, we manufacture the best floor drying air movers on the market including a wide variety of floor dryers with different power outputs that ensure the completion of projects efficiently and effectively. Take a closer look at our assortment and choose from a variety of styles, configurations and capabilities and consider wholesale floor drying fans for maximum savings. B-Air® Flex FX-1 Mini Air Mover: This is perhaps one of the most compact air moving options you’ll find. At just 12 pounds, the Flex FX-1 Mini is highly transportable, though its ¼ HP motor can deliver powerful performance whenever it’s time to go to work. This dependable compact unit can be left overnight and for long periods of time (with supervision) to dry out damp floors and hard-to-reach areas. This unit can fit into crawl spaces, closets, attics and other tight spots with ease. This low-amperage unit is daisy-chainable. Meaning you may connect a number of units using their built in GFCI ports for added flexibility, convenience and efficiency. 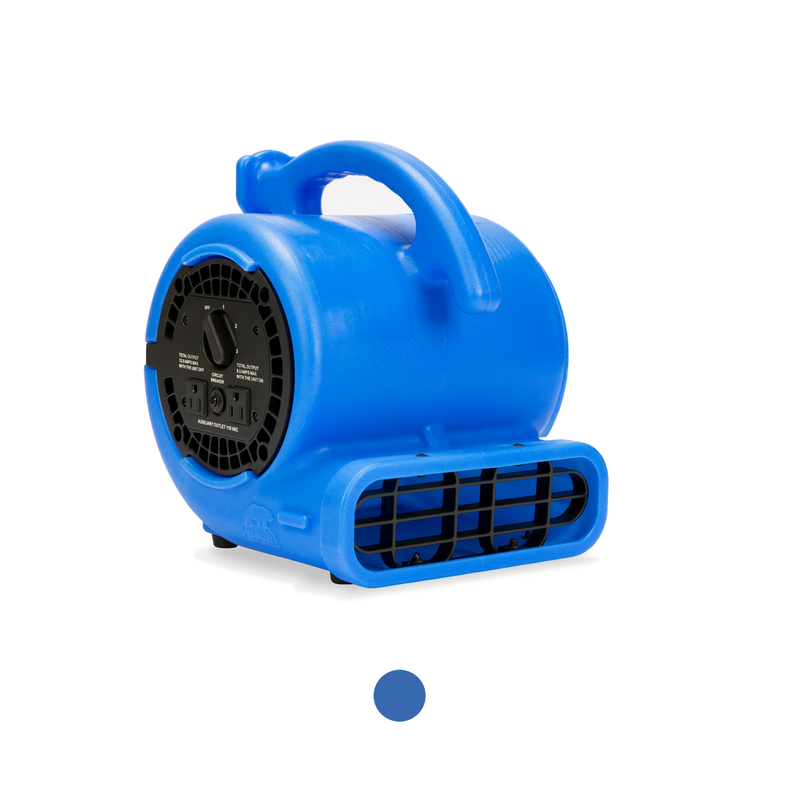 B-Air® PB-25 Axial Air Mover: This ¼ HP floor drying fan perfects the balance between portability and power. It can be run at two different settings, and be placed for maximum airflow anywhere with the option of a 360º rotation (with a separate stand). This low-amperage unit is also daisy-chainable. B-Air® Vent VP-25 Compact Air Mover: The name says it all: The compact air mover provides powerful performance in a compact housing that’s easy to move and simple to store as it can be stacked at up to five units. It can fit into crawl spaces, closets, attics and other tight spots with ease. This low-amperage unit is also daisy-chainable. 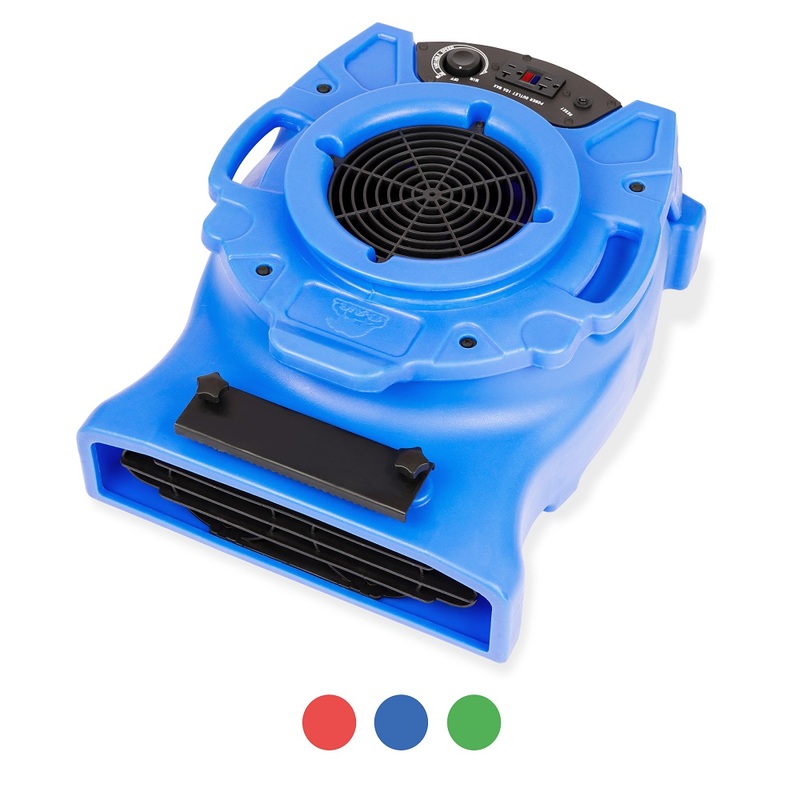 B-Air® Vent VP-33 Air Mover: This 1/3 HP floor drying fan creates a powerful airflow that can facilitate the completion of any janitorial project. As with all B-Air® air moving products, the Vent VP-33 features impact-resistant rotomolded plastic housing that fully protects the unit from any impact that may result in causing damage to unit. 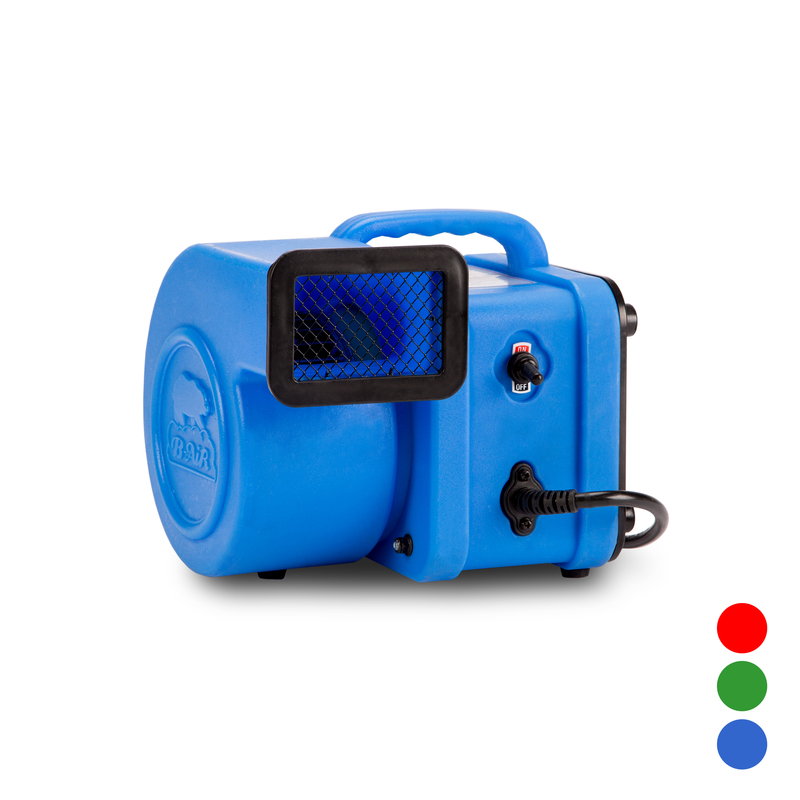 B-Air® Vent VP-50 Air Mover: This yet another centrifugal air mover which is about half the size of its predecessors while delivering the same powerful performance as before. 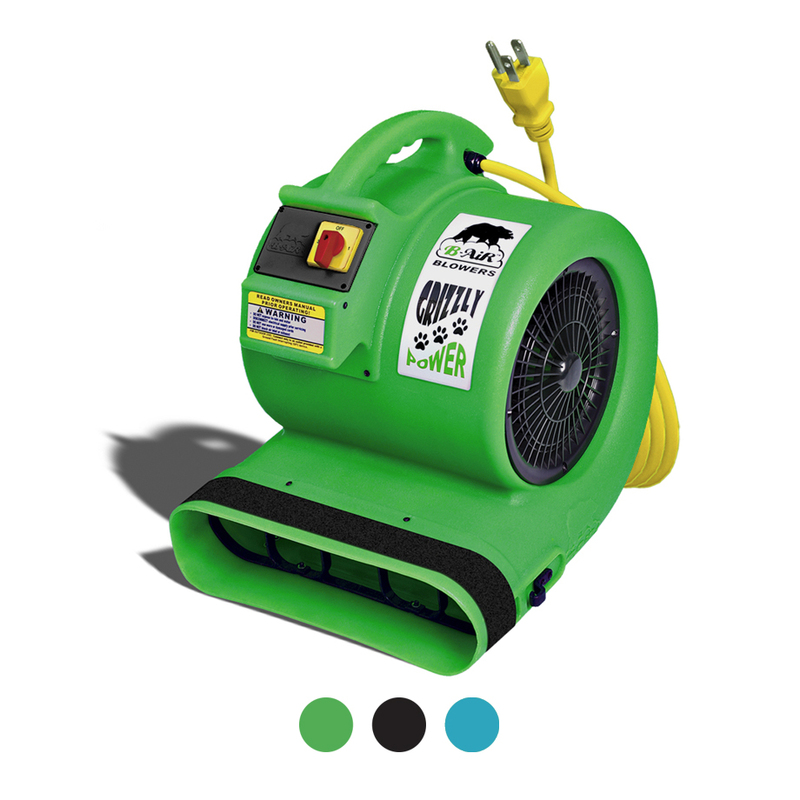 Set this unit up at three different angles, and count on the ½ horsepower motor to create a powerful vortex while drying floors and walls quickly and efficiently. The VP-50 is the standard for the janitorial industry and comes with the option of an added telescopic handle and wheels for easy transportation (VP-50H). These units are also stackable for efficient space friendly storing up to 4 units high, including the optional handle and wheel models, as an industry first. B-Air® Grizzly GP-1 Air Mover: This 1 HP floor dryers is the most powerful floor dryer available through B-Air®. While it may be our largest, most powerful, most versatile model, it is still lightweight and simple to transport. 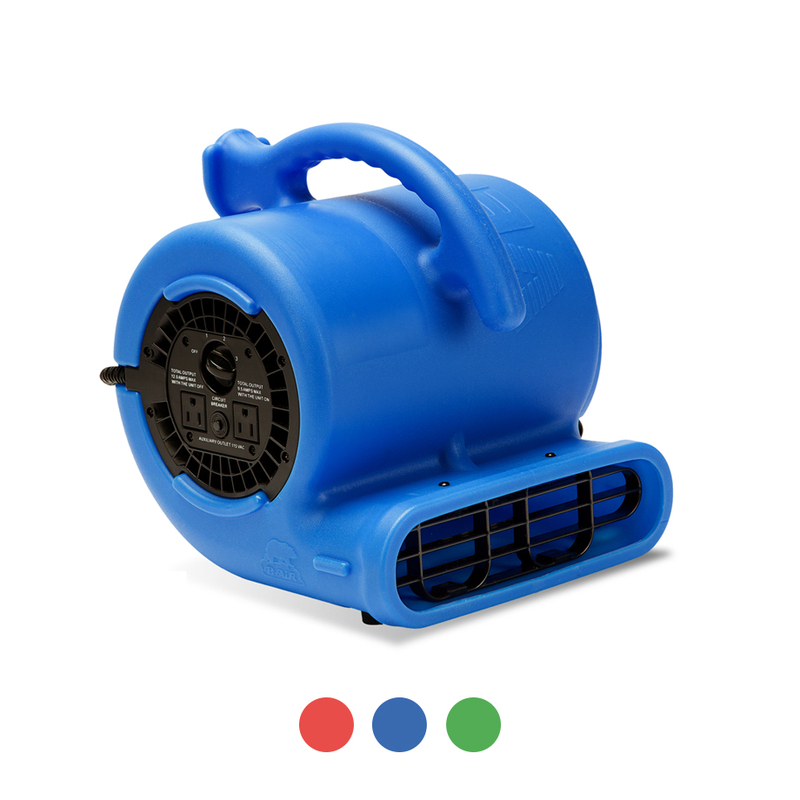 More Horsepower, Low Amperage — Our floor drying fans provide a great balance of low-amperage and horsepower. One unit of electrical horsepower is equivalent to 746 Watts. 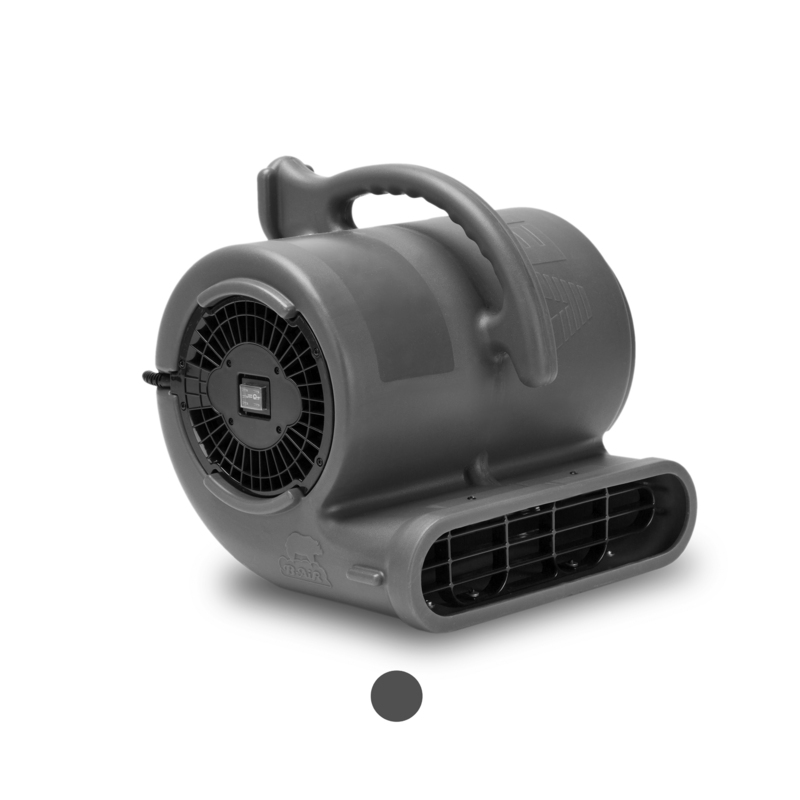 The power output of our air movers range from ¼ to 1 HP. Amps are the strength of an electrical current that a device requires for operation and its amount affects the loading on an electrical circuit within a facility. 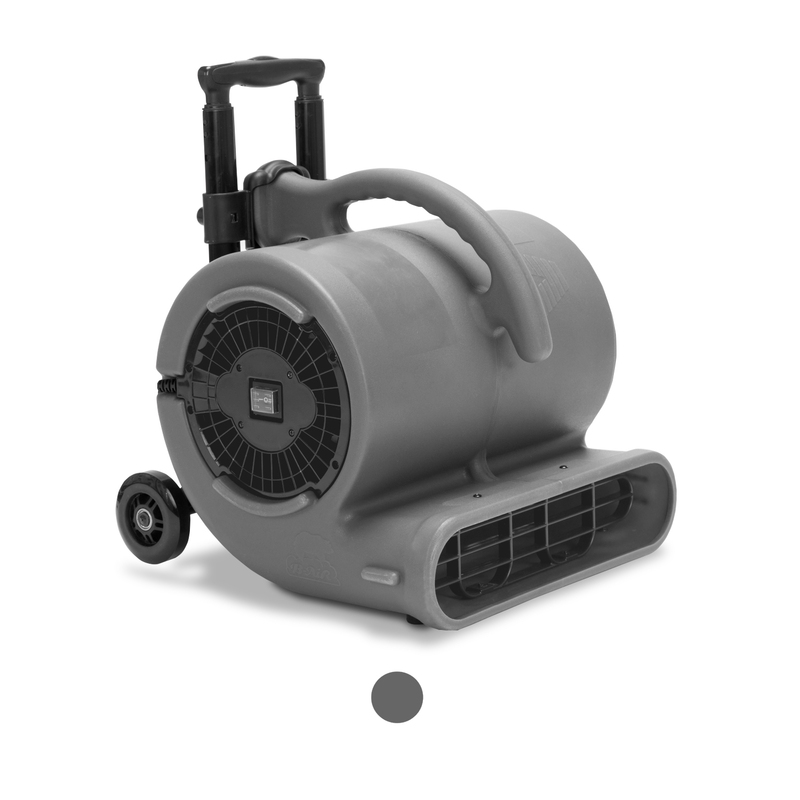 Durability — Janitorial air movers are required to withstand many hours of use in moist ad damp challenging environments. These units are expected to be transported to and from different job sites. The entire line of B-Air® floor drying fans are built to work in commercial as well as residential environments for long durations of time. At B-Air®, we use quality components housed in innovative plastic housing structures to withstand movement, transportation as well as unexpected drops, due to their impact resistant roto-mold housings. Our janitorial air movers are capable of handling most types of environments. 5 year impact-resistant roto-mold housing. Safety assured with ETL certification. B-Air® is a highly-respected brand in the janitorial and sanitation industry. Our products are designed to handle the toughest jobs while delivering ease of use in a variety of environments. You’ll find our floor dryers to be ergonomic in many ways. We balance size, amperage and power to deliver the most efficient and effective results. Each B-Air® floor dryer meets the highest quality and safety standards providing long-term value and ease of mind to the professionals as well as for home consumers. You can always count on B-Air for expert guidance as well as live technical support. Make your selection from the B-Air® janitorial equipment line for the most innovative design, value and quality. Looking for janitorial drying equipment to buy in larger quantities? Call and ask one of our knowledgeable customer service representatives about our bulk and pack options for big saving and great value. Contact B-Air® today for assistance and see how we can provide professional solutions for your next janitorial project.